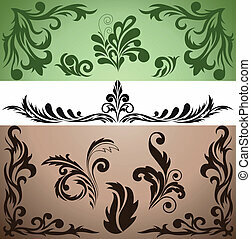 Decorative corners. 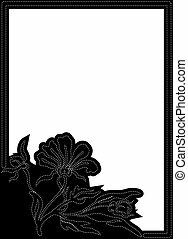 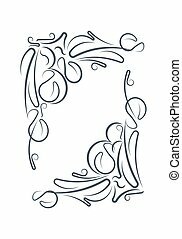 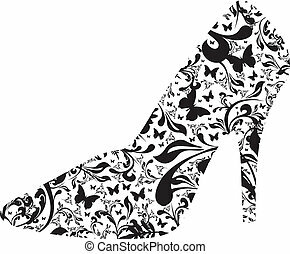 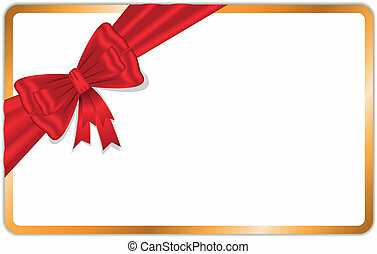 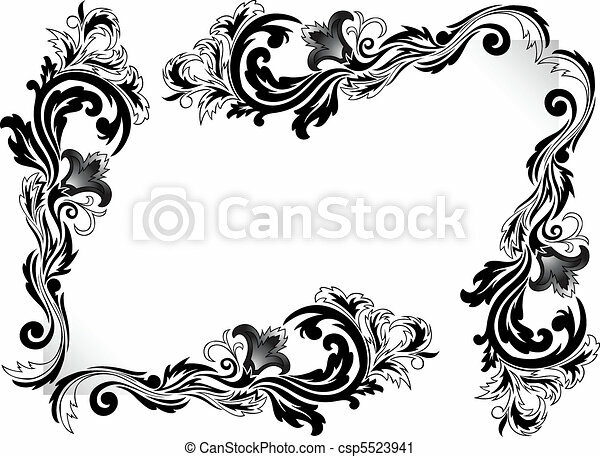 A set of black corner ornaments on a white background. 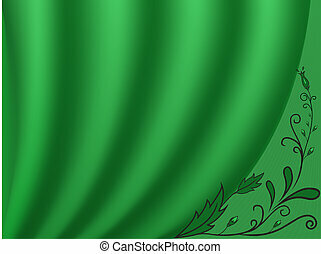 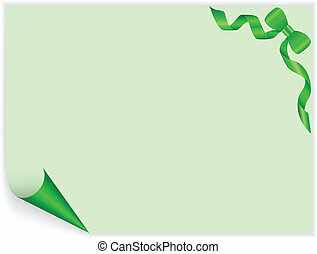 An image of a flourish banner. 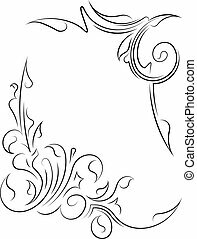 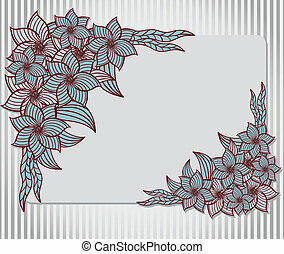 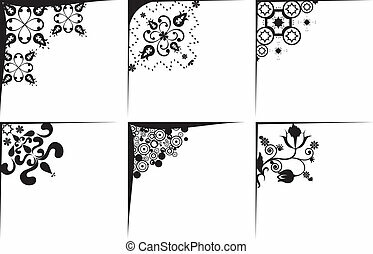 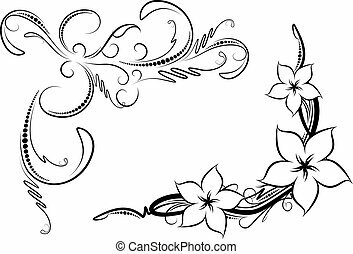 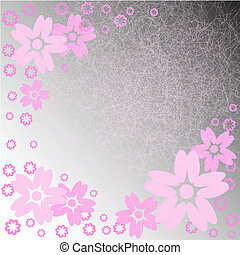 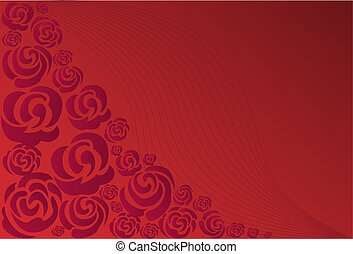 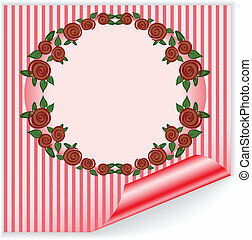 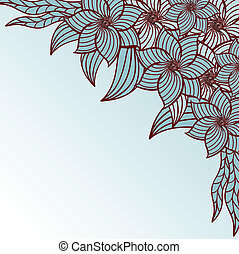 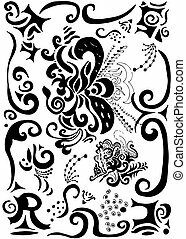 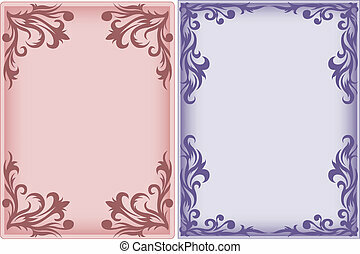 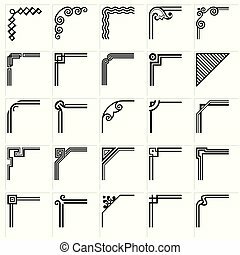 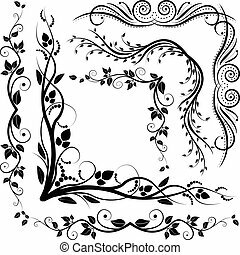 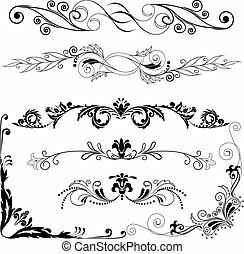 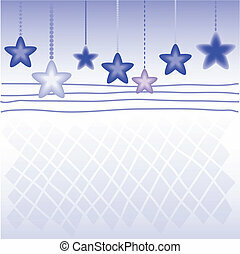 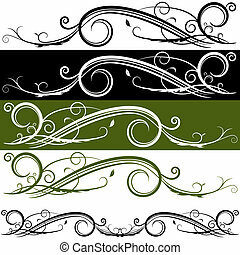 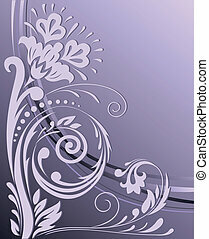 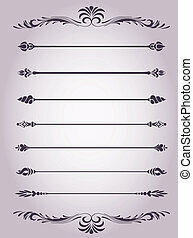 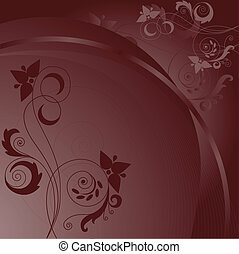 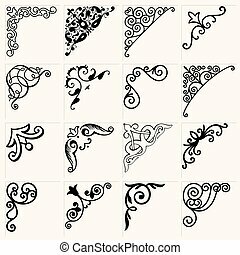 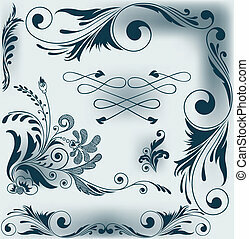 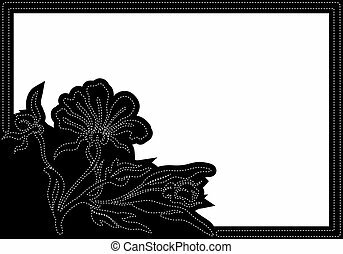 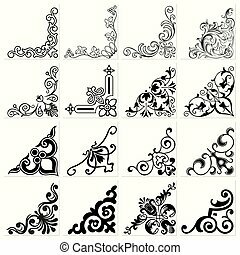 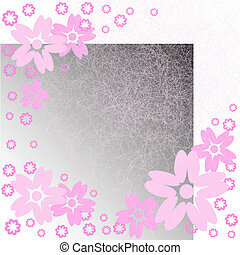 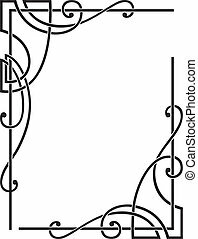 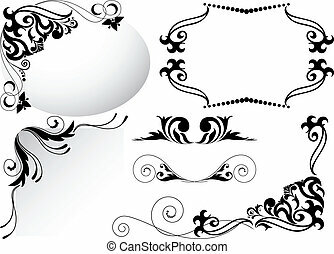 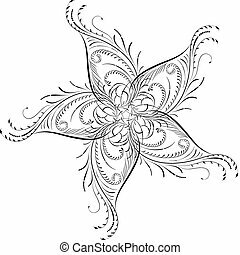 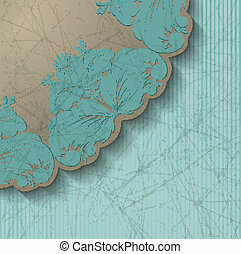 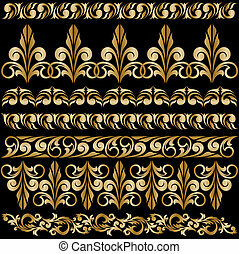 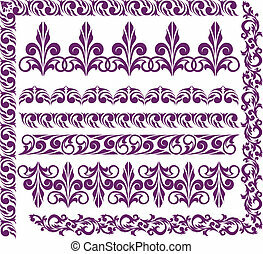 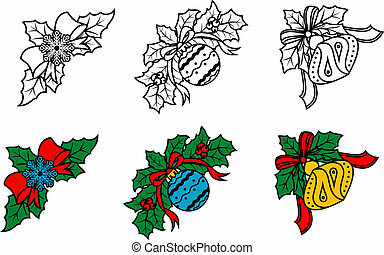 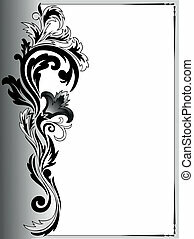 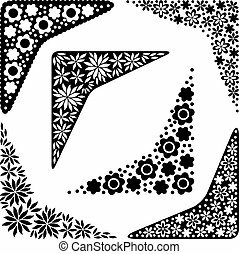 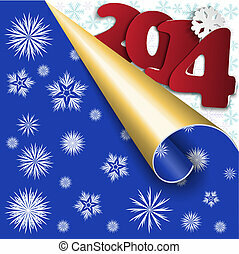 Vector drawing of decorative corners, decorated with various geometric and floral ornaments.